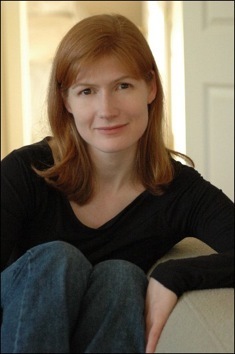 You may know Maile Meloy from her award-winning literary fiction (including the novel Liars and Saints and the story collections Half in Love and Both Ways Is the Only Way I Want It). 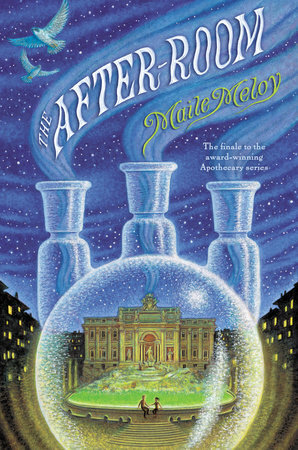 Your kids, however, would recognize her as the author of the thrilling Apothecary series, which continues right here at Parnassus Books next Tuesday, November 3, with the release of the third book, The After-Room. 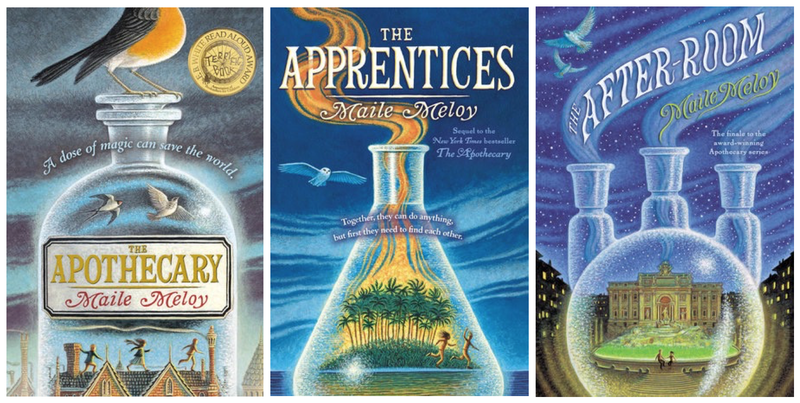 Just the other day in our back office, a group of booksellers were discussing the Apothecary series, how much we love it, and who its ideal reader is — which then snowballed into a bigger discussion: What’s the difference between “middle grade” and “young adult” when it comes to fiction? And — putting aside those labels, which one might argue exist largely for marketing purposes — what makes a book appeal to a kid who’s 10 or 12 versus someone who’s 14 or 16? The first thing I wrote in The Apothecary was the note to the reader, where Janie says that this is the true story of what happened to her when she was 14, in 1952. Then she switches back to a more immediate perspective: what it felt like to be having that adventure at that age. That was my way in, and from there it just felt like writing a novel about 14-year-olds in the 50s. I had readers in mind, my friends’ kids, and I knew it had to have a faster plot than most grown-up books have, but I like that kind of plot anyway. I didn’t know “middle grade” existed as a category, when I started writing the first book. I thought it was a YA novel. I understand now why it’s shelved as middle grade, but I also think books can easily cross those category lines. When I was a kid, I read books written for kids, but I also took books off my parents’ shelves. I never had a sense that there were books I couldn’t read — except a few that I’d been told were really scary. Or that looked really boring. I don’t think there’s a switch I flip in my head, because on some level I still see the world as kid-Maile did. When I was a kid, I thought 15 was the perfect age, and I was really bummed out about turning 16. I have a strong connection to being 15, I really remember what it was like. And I was a little bit 42 when I was 15. There are ages we all connect to, and kind of inhabit all our lives. as we launch The After-Room!